Fully Automated Log Management for IT, Security, Applications, Audit, Performance, Cloud, DevOps and More! 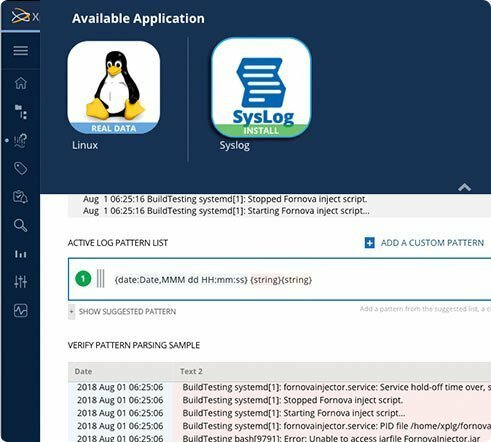 XpoLog collects any log file and cloud data from servers, apps, and services. Each source is automatically identiﬁed, parsed and tagged. XpoLog automatically identiﬁes data patterns from a wide variety of applications and systems. XpoLog creates the log data patterns and deploys analytical apps for instant insights. The days of conﬁguring log data patterns for each data source are over! XpoLog does it for you! Any log file, real-time log event collection, unique agent-less technology. Simple integrations from other platforms, such as Logstash. Security, Performance, Audit, Errors & Problems, Trends, Anomalies and much More! Once log data is collected, XpoLog automatically detects and matches analytics apps. The app provides ready to use reports – gain real-time insights in just a few clicks. Easily share insights with others. Get a glimpse into our amazing apps marketplace! Dozens of out-of-the-box analytics apps are waiting for you. XpoLog’s advanced search engine filters & understands logs, while applying complex functions to aggregate, and correlate events in your data. Slash 90% of the troubleshooting process – using augmented search. Add “machine intelligence” to every search – discover errors, anomalies, unknown patterns, exceptions, any type of log. 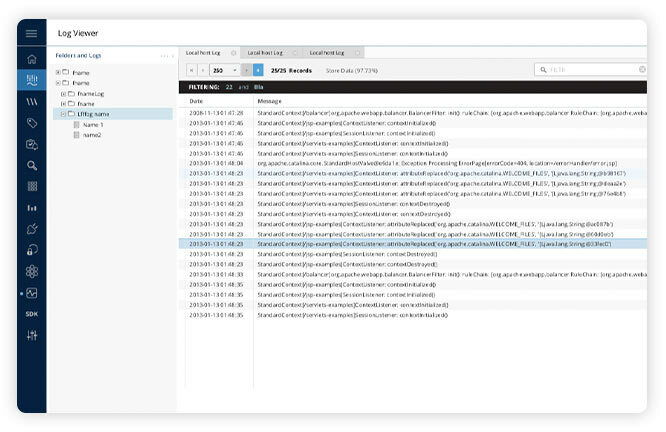 Effortlessly visualize log data – with simple/complex searches, filters and uptags. Correlate multiple logs across different sources, clouds, applications, and technologies. 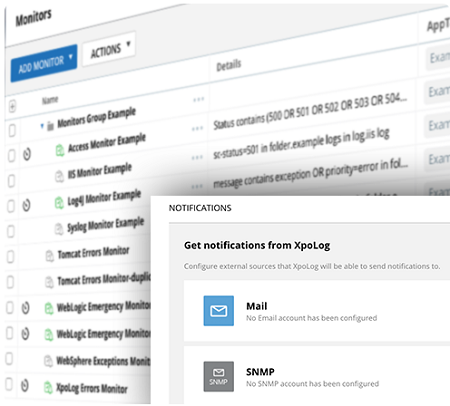 XpoLog’s advanced monitoring engine monitors log data and sends alerts according to pre-defined rules. Enhance your log monitoring with XpoLog’s unique, automated, machine learning scanners. Discover twice as many errors with automated and rule-based monitoring. Log Viewer – Because Raw Data Matters! Easily filter and view raw log data from multiple log data sources. The XpoLog Log Viewer is a structured viewer allowing you to browse swiftly across multiple logs. Quickly identify data structure and parsing rules options. 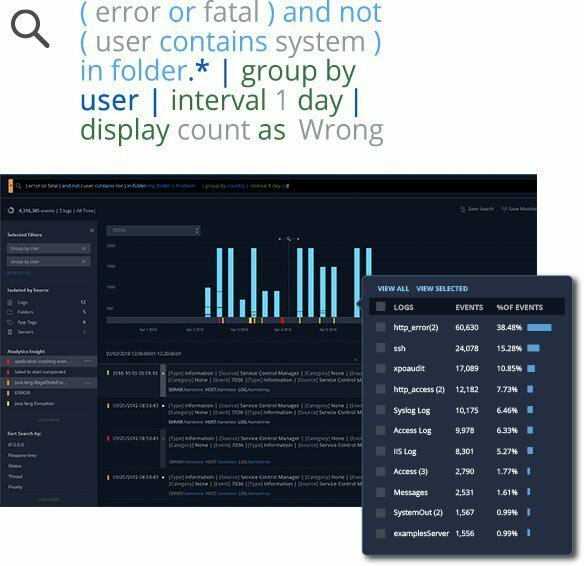 With a unique multi-tab tabular view of raw log data, root cause events become even more visible.